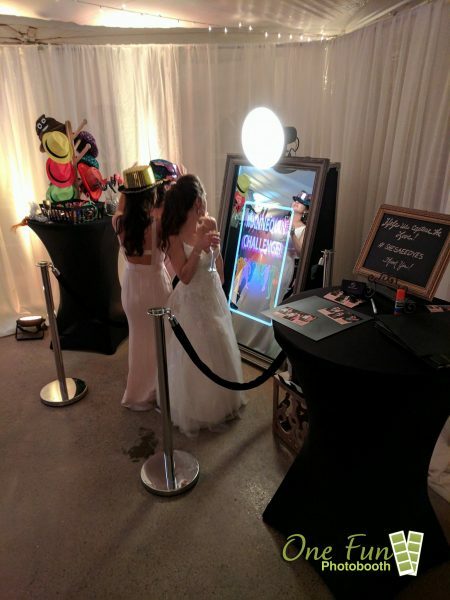 One Fun Photobooth, the leader in photobooths for the past 10 years knows it takes more than just a booth. They create a complete experience for your guests that is styled and themed to your wedding or event. From the unique design of your photo strip to the props, to the choice in booth style and configurations, for over 10 years they have been catering every detail to their clients in Twin Falls, Sun Valley and Southern Idaho. It would be easy to just grab a design that has been used over and over by other people or just type your names into the software and use one of the templates that is included and has been used at dozens if not thousands of weddings or events. With One Fun Photobooth, once you book your wedding or event you are asked what YOUR theme is, your colors, your style, your decor and more. Then their designers go to work to create the perfect unique design for your photo strip. This design will never be used again. This gives you and your guests a keepsake that will be cherished forever and you never have to worry about attending a wedding or event in the future and seeing YOUR photo strip being used. Did you know most people offering photo booths have maybe 20-30 props at the most? They use the same props at every wedding or event and most are dollar store or Walmart special items. Which means you see the same cheap hats, paper signs and mustaches on wooden sticks at every event they do. At One Fun Photobooth they have a full prop house filled with thousands of theater-quality hats, signs, mustaches, sunglasses, props and more. Matter of fact they have theater groups that come to them and use some of their stock for productions. With this much variety, they can “theme” your prop selection to your wedding or event thus immersing your guests into the experience making it unique for everyone. Nowadays it is all about choices. Not every photo booth will fit every wedding or event. Some work great indoors while others work great outdoors. 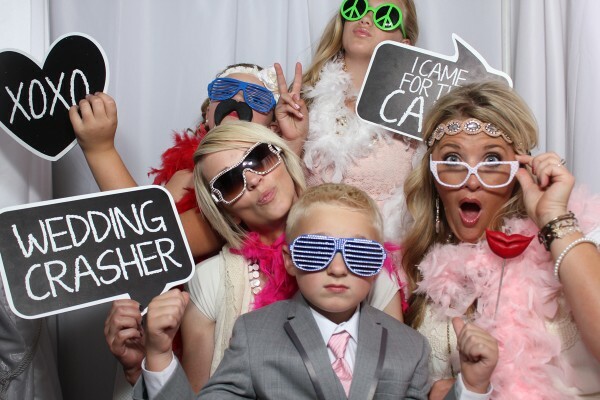 One Fun Photobooth has the largest selection of photo booths in Southern Idaho. If you want a traditional enclosed photo booth that works great indoors or outside, they have them. Much like the original photo booths your grandparents used to love the enclosed booth is a classic. 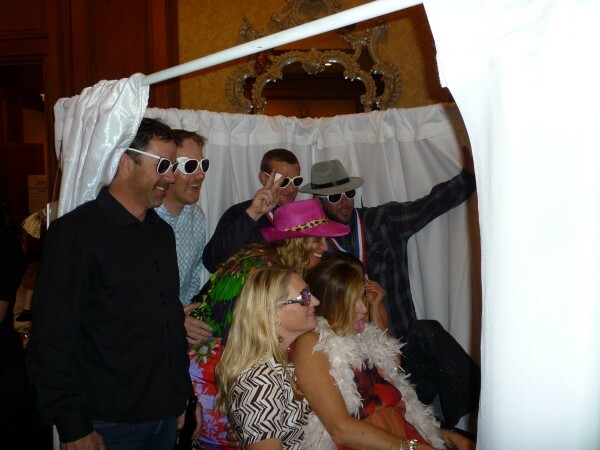 Unlike the old booths though One Fun Photobooth can match the drapes to your wedding or event. Guests grab a prop, go in, sit down and snap goes the camera. If you want an open style photo booth where the booth is in front of a backdrop. 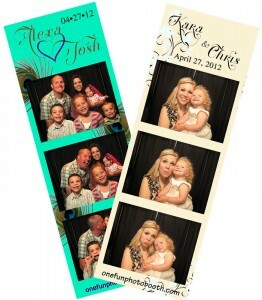 One Fun Photobooth has them and dozens of backdrops to choose from. You probably heard of their new Magic Mirror Booth. Your guests gather in front of the backdrop and like in a Hollywood photo shoot, they strike a pose. This style booth can also be done in a red carpet theme (picture step and repeat backdrop, velvet ropes and red carpet) or if you really want tech they can do greenscreen that places everyone in front of any backdrop or photo you choose. Last year One Fun Photobooth introduced Bella, the photobooth bus or One Fun Photo Bus. 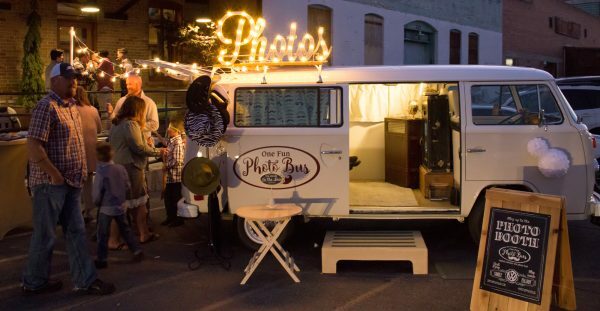 Bella is a 1976 VW bus that is completely restored and has a photo booth in the back. It took over a year to restore this iconic VW bus from the ground up. Every detail from the paint colors to the interior was covered so she could fit in with any style or theme. This vintage boho bus is perfect for any outdoor and a few indoor weddings and events and event includes air conditioning for those hot summer days to keep your guests cool. With a back seat that has held five adults comfortably with room for more, guests hop in, kick back and smile. 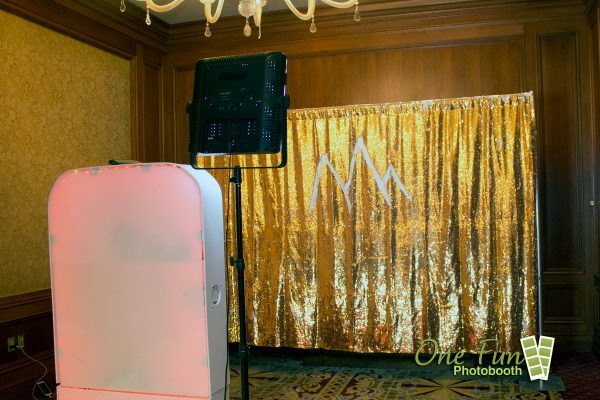 One Fun Photobooth is known for providing their clients a top-shelf experience by investing in their company over the years.